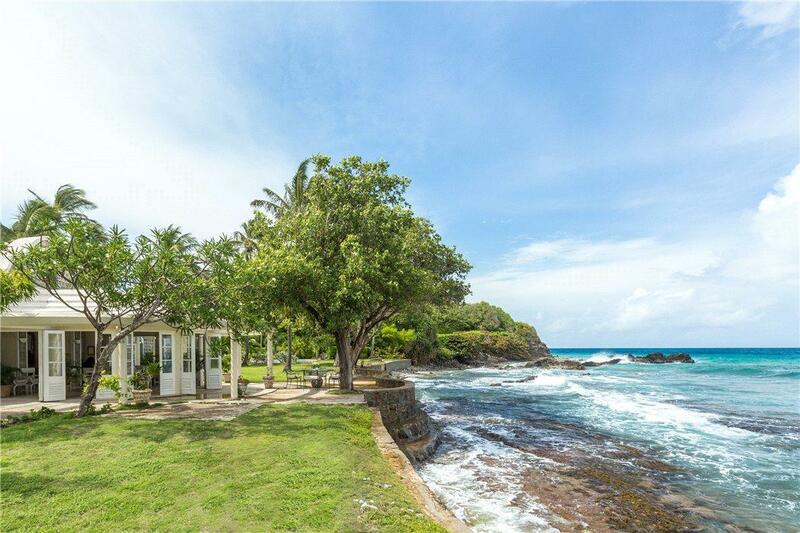 One of the island's original Oliver Messel villas, this generously proportioned property is situated on its own private beach providing endless opportunities for elegant entertaining and poolside privacy. Encompassed by lush tropical, gardens, the property has the principal living room and dining room at its heart, serviced by the adjoining kitchen and preparation area. The dining room opens onto a large terrace for outside dining or entertaining right on the sea. The bedroom accommodation is made up of 5 bedroom suites, with a master bedroom suite at the front facing the beach, by the sea, with his and hers bathrooms and then four further bedrooms in two clusters to the rear, a little further into the grounds. On the shorefront is a swimming pool flanked by a grand pool pavilion and bar area, providing a further outside dining and entertaining.